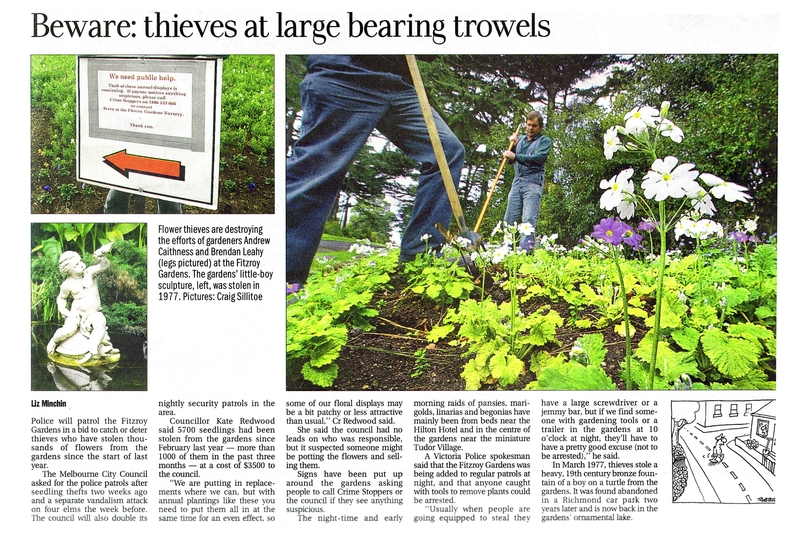 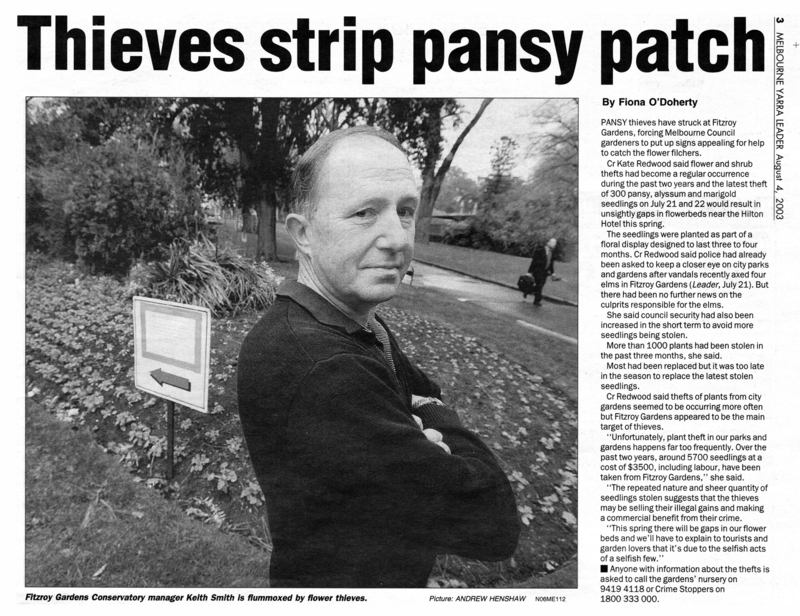 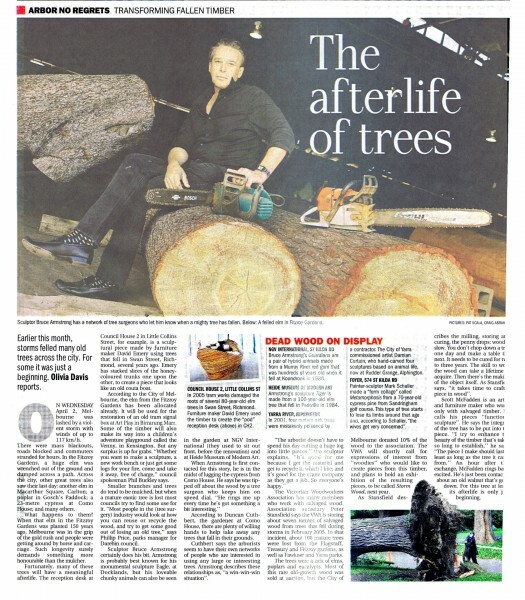 Newspaper clippings about destruction of elms and theft of small plants in Fitzroy Gardens. Photos. July-Aug. 2003. 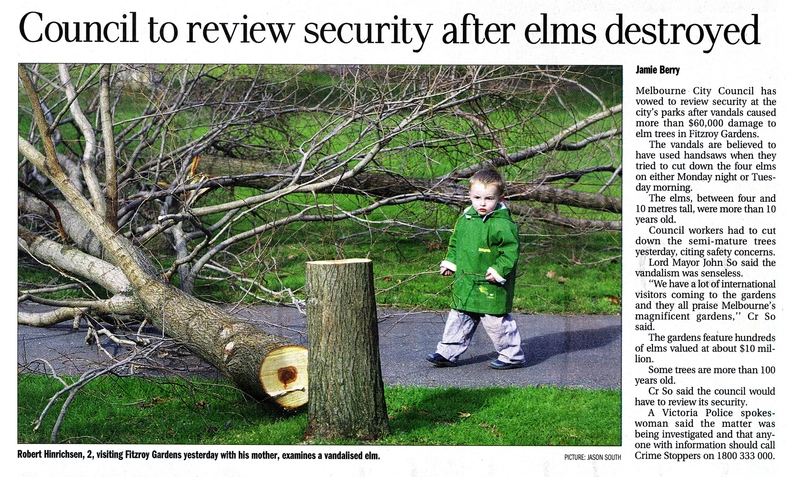 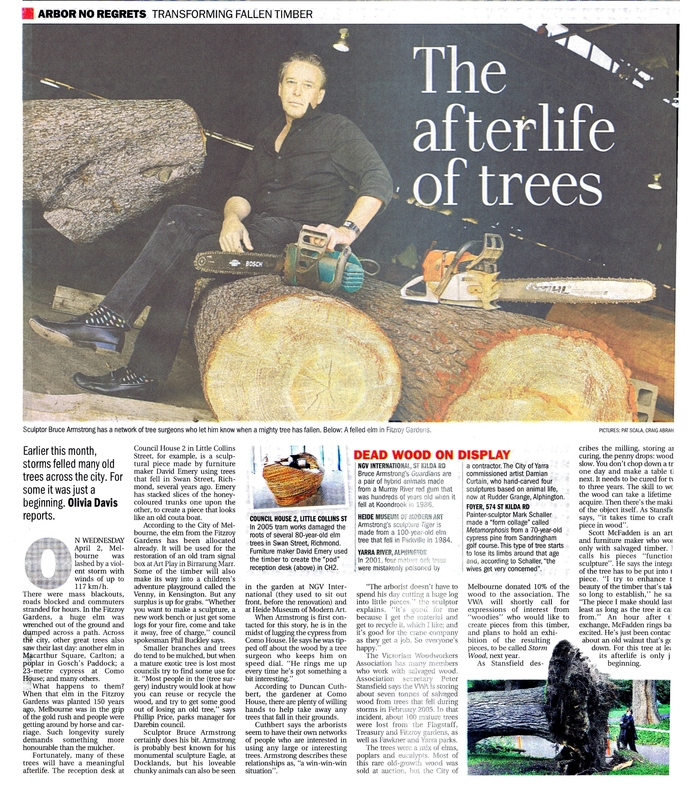 Also article on storm damage and use of wood in furniture making.